Obesity is a complex, multifactorial disease that develops from the interaction between genotype and the environment. Our understanding of how and why obesity occurs is incomplete; however, it involves the integration of social, behavioral, cultural, physiological, metabolic, and genetic factors . Genetics has been a common variable researched among scientists, and the link has been proven between genetic predisposition and likelihood of developing obesity . Multiple obesity-genes have been identified and confirmed to predispose to obesity and impair appetite and food regulation in the hypothalamus . However, given the rapid rise of obesity in the past three decades in the United States and other Westernized countries, environmental factors are likely the major culprits in causing this unhealthy trend . Sedentary lifestyle, such as time spent in front of media sources, shows a strong correlation with development of obesity [8,9]. Children are exposed to a large number of television advertising throughout childhood, including exposure to high-calorie, low nutrition-dense food ads. A study undertaken by the Kaiser Foundation confirmed the pervasive nature of media advertising and its link to the development of childhood obesity . Socioeconomic status (SES) is often implicated as a risk factor for obesity. Disparity among socioeconomic groups is thought to be a primary cause of obesity, with the higher income groups enjoying lower rates of obesity in Westernized countries . This link between SES and obesity is dependent upon geography. Lower rates of obesity exist among the lower SES groups in non-Westernized countries, likely due to poor nutrition, among other reasons . Another less obvious but still likely cause of obesity includes sleep deficit . Sleep deprivation induces hormonal changes that favor the development of obesity, including causing higher levels of ghrelin and lower levels of leptin [13,14]. The United States Preventive Services Task Force (USPSTF) recommends that clinicians screen all adults for obesity (B recommendation) . The National Institutes of Health and the Canadian Task Force on Preventive Health Care also recommend the use of BMI and waist circumference to screen adults for obesity [16,17]. Which works better for achieving and maintaining weight loss, diet alone, exercise alone, or both? Interventions that included both reduced energy intake (eg, ≥ 500 kcal/d) and increased physical activity (eg, ≥150 minutes a week of walking), with traditional behavioral therapy, generally produced larger weight loss than interventions without all 3 specific components . A meta-analysis of weight-loss clinical trials confirmed that interventions combining both diet and exercise achieved and maintained greater weight loss over a four-year period vs. either diet or exercise alone . There is strong evidence that physical activity alone, i.e., aerobic exercise, in obese adults results in modest weight loss and that physical activity in overweight and obese adults increases cardiorespiratory fitness, independent of weight loss . However, other evidence shows that nutrition counseling is more effective than physical activity counseling at achieving weight loss . The American Association of Clinical Endocrinologists (AACE), in their latest obesity clinical practice guidelines, strongly recommend the triad of a healthy meal plan, physical activity, and behavioral interventions for all patients who are treated for obesity . Various dietary strategies, including low carbohydrate, low fat, high fat, high protein, moderate carbohydrate, and Mediterranean-style have been studied for weight loss, with similar short/long-term weight loss outcomes [22-27]. Other dietary strategies are useful for treating obesity. Portion control, documenting what you eat, weighing oneself and planning meals all help in both weight loss and weight maintenance . The regular use of portion-controlled servings of conventional foods improves the induction of weight loss in behavior-based approaches [28-30]. Meal replacement strategies have also been shown to improve outcomes in overweight and obese individuals . Low Calorie Meal Plans (LCMPs) have been defined as meal plans that provide approximately a 500 to 1,000 kcal/day reduction from usual intake . Very Low-Calorie Meal Plans (VLCMPs) are meal plans or liquid formulations that provide an energy level between 200 and 800 kcal/day . These meal plans are designed to produce rapid weight loss in patients with BMI > 30 kg/m² who have other significant comorbidities or have failed other approaches . Long term outcomes comparing VLCMPs and LCMPs do not clearly distinguish which dietary strategy works better [34,35]. Exercise and physical activity is the other part of the foundation for weight loss management. Numerous studies confirm that regular exercise and physical activity assist in weight loss, simply by burning more energy than consuming . Exercise also improves many other aspects of health, enhancing focus and concentration, improving mood, reducing visceral fat, lowering blood pressure, and many other positive effects . Regular physical activity lowers risk of obesity-related conditions and decreases mortality among obese individuals . A Cochrane review confirmed that exercise is a useful intervention to enable weight loss . Americans are trying - the most recent data indicate that the percentage of adults aged 18 or over engaging in aerobic physical activity and muscle strengthening activity has surpassed The Healthy People 2020 target for physical activity of 20.1% or more . 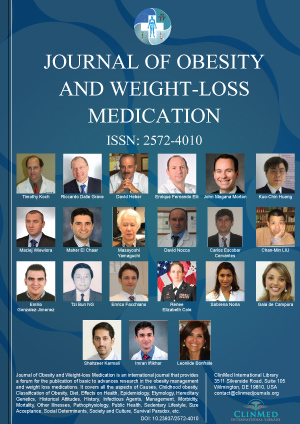 Use of weight loss drugs is potentially indicated in overweight patients with one or more obesity-related co-morbidities and in any obese patient . Several prescription drugs are now Food and Drug Administration (FDA)-approved for both short- and/or long-term use in weight loss management . Phentermine is the most popular appetite-suppressant (anorexiant) by prescription but is only approved for up to 12 weeks consecutive use by the FDA [39,40]. Other anorexiants are available, but their potential for side effects (physical/psychological addiction, hypertension, insomnia, palpitations, dry mouth, gastro-intestinal disturbance, etc.) makes them less optimal for use in obesity management . Long-term pharmacotherapeutic agents, such as phentermine/topiramate, lorcaserin, naltrexone/bupropion, and liraglutide all have relatively similar efficacies over a 1-year period [39,42]. Side effects of these long-term agents vary and, along with typical dosing and weight-loss efficacy, are included in Table 1 [38,43,44]. Orlistat is both available with or without a prescription and has modest weight loss maintenance over a 1-year period . There is no indication that currently available anti-obesity medications are associated with pulmonary hypertension, valvular dysfunction or other cardiovascular abnormalities associated with earlier anti-obesity medications [38,42]. Table 2 below summarizes findings from a 2015 meta-analysis which examined common medications associated with secondary weight change . Insulin therapy was not directly studied in the meta-analysis but is known to cause weight gain [46-49]. There are other classes of medications associated with weight gain, including beta-blockers,  antihistamines,  certain selective serotonin reuptake inhibitors (paroxetine, citalopram, escitalopram, and nortriptyline),  progestin-only contraceptives (implant, levonorgestrel-releasing intrauterine system, or injectable medroxyprogesterone),  and combined oral contraceptives,  but the 2015 meta-analysis found statistically insignificant or low-quality evidence to confirm or deny their effect on weight. As discussed above, though it has been well established that modifications in nutrition and physical activity will yield weight loss, many patients do not implement these modifications. Family physicians can assist patients in achieving and maintaining weight loss (> or = to 5% of initial weight) by providing intensive, brief lifestyle counseling sessions on a scheduled basis . The USPSTF also recommends high-intensity behavioral interventions, at a frequency of 12-26 sessions per year, as being the most likely form of intervention to achieve weight loss success . Motivational interviewing, defined as "a client-centered, directive method for enhancing intrinsic motivation to change by exploring and resolving ambivalence" is the cornerstone of effective weight loss counseling . A review of various motivational interviewing studies confirms the effectiveness of this behavioral counseling technique in achieving and maintaining weight loss among adults . Continued monitoring and counseling is necessary to assist with weight loss maintenance, otherwise weight regain is likely to occur . Another model which has been effectively utilized by family physicians in the office setting is the "5 A's" model, which was modified for use in obesity management by Kolasa in 2010 (see Table 3) . This model is best implemented when a patient lacks education surrounding a topic but may express existing readiness for change. Table 3: The 5 A's of obesity evaluation and treatment. Bariatric surgery, also known as weight loss surgery, has become safer and more effective over the past two decades . A comparison of the most common weight loss surgical procedures in the United States and their long-term efficacy and cardiovascular risk is detailed elsewhere . Sleeve gastrectomy, as it has evolved from the duodenal switch procedure, is now the most popular surgical procedure for weight loss . Several studies and reviews confirm its short- and now longer-term efficacy at maintaining weight loss in adults, akin to its brethren weight loss surgical procedures [62-65]. Due to a relative lack of long-term data, direct comparison of the benefits between bariatric procedures and non-bariatric weight loss approaches beyond three years remains unclear . However, one prospective longitudinal cohort study has shown efficacy of laparoscopic adjustable gastric banding (LAGB) in maintaining a 10-year mean weight loss of up to 47% from pre-surgical status . Indications for bariatric surgery have been established and have evolved to be more inclusive in more recent years. (See Table 4 below) Contraindications to bariatric surgery include performing surgery specifically for only lowering lipids, cardiovascular risk or achieving glycemic control; untreated major depression or psychosis; binge eating disorder; active substance or alcohol abuse; severe cardiovascular disease; and an inability to adhere to nutritional supplementation . In children and adolescents, weight loss surgery has not been well-studied. There is a lack of randomized controlled trials comparing weight loss surgery vs. non-surgical approach to weight loss and similarly a lack of long-term follow up to assess the impact of surgery as patients enter adulthood . Cost effectiveness of weight loss surgery, in particular Roux-en-Y gastric bypass (RYGB) and LAGB has been established in several systematic reviews [71-75]. While not all studies have shown decreased health care costs associated with weight loss surgery [76-78], the rise in popularity of laparoscopic sleeve gastrectomy will likely prove it to be equally or even more cost-effective as a surgical option . Co-morbidities among obese and the severely obese patients are the norm. In particular, more than 90% of type 2 diabetics are overweight or obese . Weight loss surgery does induce long term remission of type 2 diabetes and is more effective than medication or lifestyle alone at inducing and maintaining remission, both in the short- and long-term [81-84]. Another common co-morbidity among pre-operative bariatric patients is depression. In a meta-analysis, depression was present in 19% of patients seeking and undergoing weight loss surgery . Bariatric surgery was shown to be consistently associated with postoperative decreases in the prevalence of depression . Finally, there are known morbidity and mortality risks to bariatric surgery, although the published mortality rate is 0.3% [86,87]. On the contrary, there is new data demonstrating lower mortality rates after five and ten years among patients having undergone bariatric surgery vs. controls, with an absolute risk reduction approaching 10% . 2. Children less than 2 years of age, where weight-for-height values rather than BMI are used [89,90]. In assessing children once obesity is diagnosed, family medicine practitioners should obtain history regarding nutrition and physical activity (just as in adults), and perform a physical exam; if risk factors (such as family history of obesity or its comorbidities, abnormal exam findings, or positive review of systems) are identified, laboratory screening including fasting glucose, lipid profile, and liver function tests should be performed [90,91]. Further testing and investigation for secondary causes of obesity (e.g. MC4R genetic mutation, hypothyroidism, syndromic causes, medication side effects) should be performed only when there are other abnormal findings on physical exam, particularly a height deficit . In managing childhood obesity, the American Academy of Pediatrics (AAP) has released a helpful algorithm which outlines an escalating 4 stage approach depending on the severity of the child's obesity and the child's response to treatment . The AAP's expert committee urges clinicians to be "supportive, empathetic, and nonjudgmental" when discussing weight with children . Obesity is an ever-increasing condition seen among patients in the primary care setting. Family physicians are ideally suited to identify, evaluate, and manage this condition. Based on the current available research, and in tune with the family medicine style of providing comprehensive, continuous and compassionate care, setting short- and long-term goals and establishing appropriate and regular follow up with patients as they engage in lifestyle modification is the best approach to helping patients achieve weight loss and maintenance of weight loss. Adjunctive therapies, including FDA-approved weight loss drugs and/or bariatric surgery, are also potentially very useful tools in the treatment of obesity. Ogden CL, Carroll MD, Kit BK, Flegal KM (2014) Prevalence of childhood and adult obesity in the United States. 2011-2012. JAMA 311: 806-814. Grundy SM (1998) Multifactorial causation of obesity: Implications for prevention. Am J Clin Nutr 67: 563S-572S. Choquet H, Meyre D (2011) Genetics of obesity: What have we learned? Curr Genomics 12: 169-179. Landhuis EC, Poulton R, Welch D, Hancox RJ (2008) Programming obesity and poor fitness: The long-term impact of childhood television. Obesity (Silver Spring) 16: 1457-1459. Thorp AA, Owen N, Neuhaus M, Dunstan DW (2011) Sedentary behaviors and subsequent health outcomes in adults a systematic review of longitudinal studies, 1996-2011. Am J Prev Med 41: 207-215. Pampel FC, Denney JT, Krueger PM (2012) Obesity, SES, and economic development: A test of the reversal hypothesis. Soc Sci Med 74: 1073-1081. Emily J McAllister, Nikhil V Dhurandhar, Scott W Keith, Louis J Aronne, Barger J, et al. (2009) Ten putative contributors to the obesity epidemic. Crit Rev Food Sci Nutr 49: 868-913. Van der Lely AJ, Tschöp M, Heiman ML, Ghigo E (2004) Biological, physiological, pathophysiological, and pharmacological aspects of ghrelin. Endocr Rev 25: 426-457. Bodosi B, Gardi J, Hajdu I, Szentirmai E, Obal F Jr, et al. (2004) Rhythms of ghrelin, leptin, and sleep in rats: Effects of the normal diurnal cycle, restricted feeding, and sleep deprivation. Am J Physiol Regul Integr Comp Physiol 287: 1071-1079. (2012) Screening for and management of obesity in adults: Recommendation Statement. USPSTF. National Heart, Lung, and Blood Institute (1998) Clinical guidelines on the identification, evaluation, and treatment of overweight and obesity in adults: The evidence report. Bethesda, National Institutes of Health. Lau DC, Douketis JD, Morrison KM, Hramiak IM, AM Sharma, et al. (2007) 2006 Canadian clinical practice guidelines on the management and prevention of obesity in adults and children (Summary). CMAJ 176: S1-S13. Wadden TA, Butryn ML, Hong PS, Tsai AG (2014) Behavioral treatment of obesity in patients encountered in primary care settings: A systematic review. JAMA 312: 1779-1791. Franz MJ, VanWormer JJ, Crain AL, Boucher JL, Histon T, et al. (2007) Weight-loss outcomes: A systematic review and meta-analysis of weight-loss clinical trials with a minimum 1-year follow-up. J Am Diet Assoc 107: 1755-1767. Molenaar EA, van Ameijden EJC, Vergouwe Y, Grobbee DE, Numans ME (2010) Effect of nutritional counseling and nutrition plus exercise counseling in overweight adults: A randomized trial in multidisciplinary primary care practice. Fam Pract 27: 143-150. Garvey WT, Mechanick JI, Brett EM, Garber AJ, Hurley DL, et al. (2016) American association of clinical endocrinologists and American college of endocrinology clinical practice guidelines for medical care of patients with obesity. Endocr Pract 22: 1-203. Foreyt JP, Salas-Salvado J, Caballero B, Bulló M, Gifford KD, et al. (2009) Weight-reducing diets: Are there any differences? Nutr Rev 67: S99-S101. Frisch S, Zittermann A, Berthold HK, Götting C, Kuhn J, et al. (2009) A randomized controlled trial on the efficacy of carbohydrate-reduced or fat-reduced diets in patients attending a telemedically guided weight loss program. Cardiovasc Diabetol 8: 36. Gardner CD, Kim S, Bersamin A, Dopler-Nelson M, Otten J, et al. (2010) Micronutrient quality of weight-loss diets that focus on macronutrients: Results from the A TO Z study. Am J Clin Nutr 92: 304-312. De Souza RJ, Bray GA, Carey VJ, Hall KD, LeBoff MS, et al. (2012) Effects of 4 weight-loss diets differing in fat, protein, and carbohydrate on fat mass, lean mass, visceral adipose tissue, and hepatic fat: Results from the POUNDS LOST trial. Am J Clin Nutr 95: 614-625. Babio N, Toledo E, Estruch R, Ros E, Martínez-González MA, et al. (2014) Mediterranean diets and metabolic syndrome status in the PREDIMED randomized trial. CMAJ 186: 649-657. Johnston BC, Kanters S, Bandayrel K, Wu P, Naji F, et al. (2014) Comparison of weight loss among named diet programs in overweight and obese adults: A meta-analysis. JAMA 312: 923-933. Wadden TA, Butryn ML, Byrne KJ (2004) Efficacy of lifestyle modification for long-term weight control. Obes Res 12: 151S-162S. Hannum SM, Carson L, Evans EM, Canene KA, Petr EL, et al. (2004) Use of portion-controlled entrees enhances weight loss in women. Obes Res 12: 538-546. Hannum SM, Carson LA, Evans EM, Petr EL, Wharton CM, et al. (2006) Use of packaged entrees as part of a weight-loss diet in overweight men: an 8-week randomized clinical trial. Diabetes Obes Metab 8: 146-155. Wadden TA, West DS, Neiberg RH, Wing RR, Ryan DH, et al. (2009) One-year weight losses in the Look AHEAD study: Factors associated with success. Obesity (Silver Spring) 17: 713-722. (1998) Clinical guidelines on the identification, evaluation, and treatment of overweight and obesity in adults--The evidence report. National Institutes of Health. Obes Res 6: 51S-209S. Cummings S, Parham ES, Strain GW, American Dietetic Association (2002) Position of the American Dietetic Association: weight management. J Am Diet Assoc 102: 1145-1155. Anderson JW, Konz EC, Frederich RC, Wood CL (2001) Long-term weight-loss maintenance: A meta-analysis of US studies. Am J Clin Nutr 74: 579-584. Tsai AG, Wadden TA (2006) The evolution of very-low-calorie diets: An update and meta-analysis. Obesity (Silver Spring) 14: 1283-1293. Blair SN, Brodney S (1999) Effects of physical inactivity and obesity on morbidity and mortality: Current evidence and research issues. Med Sci Sports Exerc 31: 646-662. Shaw KA, Gennat HC, O'Rourke P, Del Mar C (2006) Exercise for overweight or obesity. Cochrane Database Syst Rev 18. Jensen MD, Ryan DH, Donato KA, Apovian CM, Ard JD, et al. (2014) Guidelines (2013) for managing overweight and obesity in adults. Obesity 22: S1-S410. Kushner RF (2015) Pharmacologic approach to obesity management. J Fam Pract 64: S37-S43. Woo TM, Robinson MV (2015) Pharmacotherapeutics for advanced practice nurse prescribers. (4th edn), FA Davis Company, 226-227. (2016) Monthly prescribing reference. Haymarket Media Publication, 145-147. Pi-Sunyer X, Astrup A, Fujioka K, Greenway F, Halpern A, et al. (2015) A randomized controlled trial of 3.0mg of liraglutide in weight management. N Engl J Med 373: 11-22. Domecq JP, Prutsky G, Leppin A, Sonbol MB, Altayar O, et al. (2015) Clinical review: Drugs commonly associated with weight change: A systematic review and meta-analysis. J Clin Endocrinol Metab 100: 363-370. Holman RR, Thorne KI, Farmer AJ, Davies MJ, Keenan JF, et al. (2007) Addition of biphasic, prandial, or basal insulin to oral therapy in type 2 diabetes. N Engl J Med 357: 1716-1730. Pontiroli AE, Miele L, Morabito A (2011) Increase of body weight during the first year of intensive insulin treatment in type 2 diabetes: Systematic review and meta-analysis. Diabetes Obes Metab 13: 1008-1019. Riddle MC, Rosenstock J, Gerich J, Insulin Glargine 4002 Study Investigators (2003) The treat-to-target trial: Randomized addition of glargine or human NPH insulin to oral therapy of type 2 diabetic patients. Diabetes Care 26: 3080-3086. Balkau B, Home PD, Vincent M, Marre M, Freemantle N (2014) Factors associated with weight gain in people with type 2 diabetes starting on insulin. Diabetes Care 37: 2108-2113. Messerli FH, Bell DSH, Fonseca V, Katholi RE, McGill JB, et al. (2007) Body weight changes with B-blocker use: Results from GEMINI. Am J Med 120: 610-615. Ratliff JC, Barber JA, Palmese LB, Reutenauer EL, Tek C (2010) Association of prescription H1 antihistamine use with obesity: Results from the National Health and Nutrition Examination Survey. Obesity (Silver Spring) 18: 2398-2400. Serretti A, Mandelli L (2010) Antidepressants and body weight: A comprehensive review and meta-analysis. J Clin Psychiatry 71: 1259-1272. Lopez LM, Ramesh S, Edelman A, Chen M, Otterness C, et al. (2013) Progestin-only contraceptives: Effects on weight. Cochrane Database Syst Rev. Gallo MF, Lopez LM, Grimes DA, Carayon F, Schulz KF, et al. (2014) Combination contraceptives: Effects on weight. Cochrane Database Syst Rev. Wadden TA, Volger S, Tsai AG, Sarwer DB, Berkowitz RI, et al. (2013) Managing obesity in primary care practice: An overview and perspective from the POWER-UP study. Int J Obes (Lond) 37: S3-S11. Lussier MT, Richard C (2007) The motivational interview. Can Fam Physician 53: 2117-2118. Christie D, Channon S (2014) The potential for motivational interviewing to improve outcomes in the management of diabetes and obesity in pediatric and adult populations: A clinical review. Diabetes Obes Metab 16: 381-387. Hardcastle SJ, Taylor AH, Bailey MP, Harley RA, Hagger MS (2013) Effectiveness of a motivational interviewing intervention on weight loss, physical activity and cardiovascular disease risk factors: A randomised controlled trial with a 12-month post-intervention follow-up. Int J Behav Nutr Phys Act 10: 40. Kolasa KM, Collier DN, Cable K (2010) Weight loss strategies that really work. J Fam Pract 59: 378-385. Menzo EL, Szomstein S, Rosenthal RJ (2015) Changing trends in bariatric surgery. Scand J Surg 104: 18-23. Douglas IJ, Bhaskaran K, Batterham RL, Smeeth L (2015) Bariatric surgery in the United Kingdom: A cohort study of weight loss and clinical outcomes in routine clinical care. PLoS Med 12: e1001925. Courcoulas AP, Christian NJ, Belle SH, Berk PD, Flum DR, et al. (2013) Weight change and health outcomes at 3 years after bariatric surgery among individuals with severe obesity. JAMA 310: 2416-2425. Gloy VL, Briel M, Bhatt DL, Kashyap SR, Schauer PR, et al. (2013) Bariatric surgery versus non-surgical treatment for obesity: A systematic review and meta-analysis of randomized controlled trials. BMJ 347. Gagner M, Deitel M, Kalberer TL, Erickson AL, Crosby RD (2009) The second international consensus summit for sleeve gastrectomy, March 19-21, 2009. Surg Obes Relat Dis 5: 476-485. Colquitt JL, Pickett K, Loveman E, Frampton GK (2014) Surgery for weight loss in adults. Cochrane Database Syst. O'Brien PE, MacDonald L, Anderson M, Brennan L, Brown WA (2013) Long-term outcomes after bariatric surgery: Fifteen-year follow-up of adjustable gastric banding and a systematic review of the bariatric surgical literature. Ann Surg 257: 87-94. Burguera B, Agusti A, Arner P, Baltasar A, Barbe F, et al. (2007) Critical assessment of the current guidelines for the management and treatment of morbidly obese patients. J Endocrinol Invest 30: 844-852. Ellis LJ, Mead E, Atkinson G, Corpeliijn E, Roberts K, et al. (2015) Surgery for the treatment of obesity in children and adolescents. Cochrane Database Syst Rev. Picot J, Jones J, Colquitt JL, Gospodarevskaya E, Loveman E, et al. (2009) The clinical effectiveness and cost-effectiveness of bariatric (weight loss) surgery for obesity: A systematic review and economic evaluation. Health Technol Assess 13: 1-190. Craig BM, Tseng DS (2002) Cost-effectiveness of gastric bypass for severe obesity. Am J Med 113: 491-498. Salem L, Devlin A, Sullivan SD, Flum DR (2008) Cost-effectiveness analysis of laparoscopic gastric bypass, adjustable gastric banding, and nonoperative weight loss interventions. Surg Obes Relat Dis 4: 26-32. Chang S-H, Stoll CRT, Colditz G (2011) Cost-effectiveness of bariatric surgery: Should it be universally available? Maturitas 69: 230-238. Hoerger TJ, Zhang P, Segel JE, Kahn HS, Barker LE, et al. (2010) Cost-effectiveness of bariatric surgery for severely obese adults with diabetes. Diabetes Care 33: 1933-1939. Maciejewski ML, Livingston EH, Smith VA, Kahwati LC, Henderson WG, et al. (2012) Health expenditures among high-risk patients after gastric bypass and matched controls. Arch Surg 147: 633-640. Neovius M, Narbro K, Keating C, Peltonen M, Sjöholm K, et al. (2012) Health care use during 20 years following bariatric surgery. JAMA 308: 1132-1141. Weiner JP, Goodwin SM, Chang H-Y, Bolen SD, Richards TM, et al. (2013) Impact of bariatric surgery on health care costs of obese persons: A 6-year follow-up of surgical and comparison cohorts using health plan data. JAMA Surg 148: 555-562. 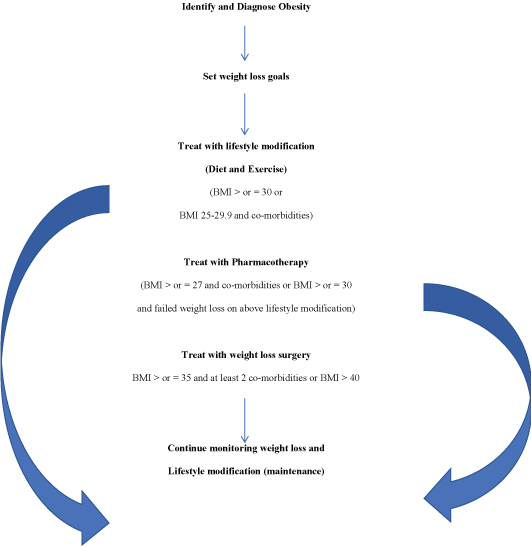 Rome BN (2015) Is bariatric surgery cost effective. Bariatric Times 12: 8-10. World Health Organization (2013) Obesity and overweight fact. Yska JP, van Roon EN, de Boer A, Leufkens HG, Wilffert B, et al. (2015) Remission of type 2 diabetes mellitus in patients after different types of bariatric surgery: A population-based cohort study in the United Kingdom. JAMA Surg 150: 1126-1133. Sjostrom L, Peltonen M, Jacobson P, Ahlin S, Andersson-Assarsson J, et al. (2014) Association of bariatric surgery with long-term remission of type 2 diabetes and with microvascular and macrovascular complications. JAMA 311: 2297-2304. Courcoulas AP, Goodpaster BH, Eagleton JK, Belle SH, Kalarchian MA (2014) Surgical vs. medical treatments for type 2 diabetes mellitus: a randomized clinical trial. JAMA Surg 149: 707-715. Courcoulas AP, Belle SH, Neiberg RH, Pierson SK, Eagleton JK, et al. (2015) Three-year outcomes of bariatric surgery vs. lifestyle intervention for type 2 diabetes mellitus treatment: A randomized clinical trial. JAMA Surg 150: 931-940. Dawes AJ, Maggard-Gibbons M, Maher AR, Booth MJ, Miake-Lye I, et al. (2016) Mental health conditions among patients seeking and undergoing bariatric surgery: A Meta-analysis. JAMA 315: 150-163. Pories WJ (2008) Bariatric surgery: Risks and rewards. J Clin Endocrinol Metab 93: S89-S96. Longitudinal Assessment of Bariatric Surgery (LABS) Consortium, Flum DR, Belle SH, King WC, Wahed AS, et al. (2009) Perioperative safety in the longitudinal assessment of bariatric surgery. N Engl J Med 361: 445-454. Arterburn DE, Olsen MK, Smith VA, Livingston EH, Van Scoyoc L, et al. (2015) Association between bariatric surgery and long-term survival. JAMA 313: 62-70. Barlow SE, Expert Committee (2007) Expert committee recommendations regarding the prevention, assessment, and treatment of child and adolescent overweight and obesity: Summary report. Pediatrics 120: S164-S192. Speiser PW, Rudolf MCJ, Anhalt H, Camacho-Hubner C, Chiarelli F, et al. (2005) Childhood obesity. The Journal of Clinical Endocrinology & Metabolism 90: 1871-1887.